The Arthouse Diamond Palm charcoal wallpaper is ideal wallpaper to freshen up your living room, bedroom or even bathroom and kitchen. 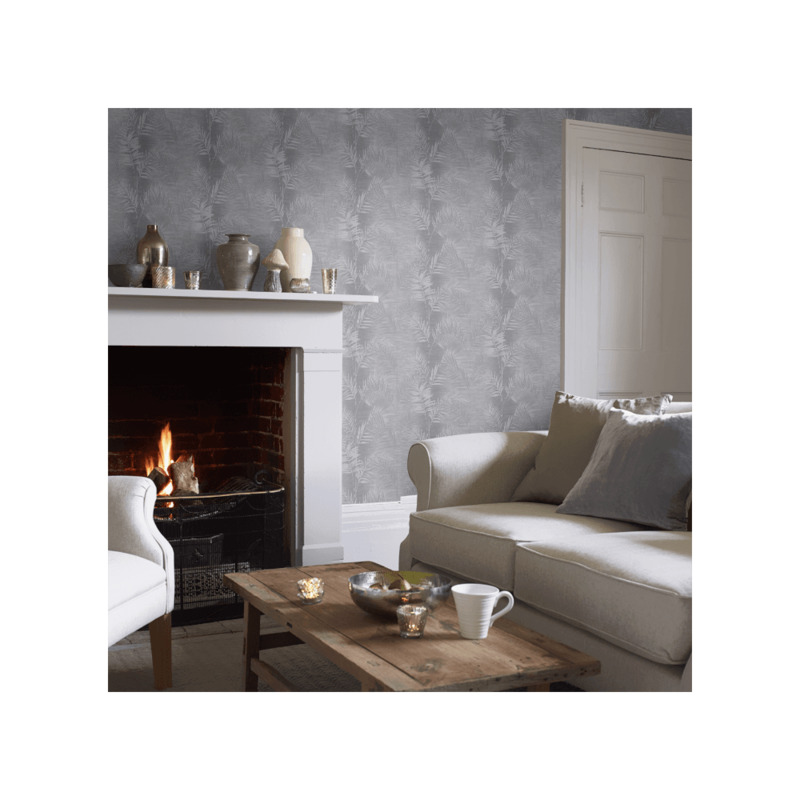 This stunning design wallpaper can be used to add a touch of sophistication to your home interior. This wallpaper features palm leaves running throughout the paper with silver glitter coming through. Use this wallpaper as feature wallpaper or on its own.